Barcelona is the capital and most populous city of Catalonia in Spain. It lies on the Mediterranean Sea between the rivers of Besòs and Llobregat. 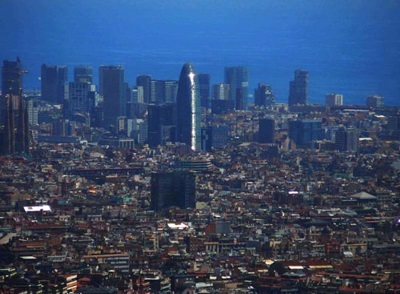 As of 2006, Barcelona had an estimated population of 1,605,602. Unless specifically noted on the page in question, our company is NOT associated with attractions or places of interest that may be described on this website. In such cases, we have often provided links to the official sites where possible, or other third party sites containing useful information, purely as a courtesy and for informational purposes only. CERTAIN CONTENT THAT APPEARS ON THIS SITE,COMES FROM AMAZON EU S.à r.l. THIS CONTENT IS PROVIDED 'AS IS' AND IS SUBJECT TO CHANGE OR REMOVAL AT ANY TIME.